To keep up to date with what's happening at Cathrine's Creations sign up to our newsletter. Choose a Kids Birthday Party with a Difference and Make Lasting Memories. Remember playing in the mud as a kid and building mud cakes and all sorts of things from a mixture of sand and water? Who could forget that squishy, cold and wet mud between their fingers? Today more and more children don’t get to enjoy the tactile, messy experiences the outdoors has to offer in a safe environment. 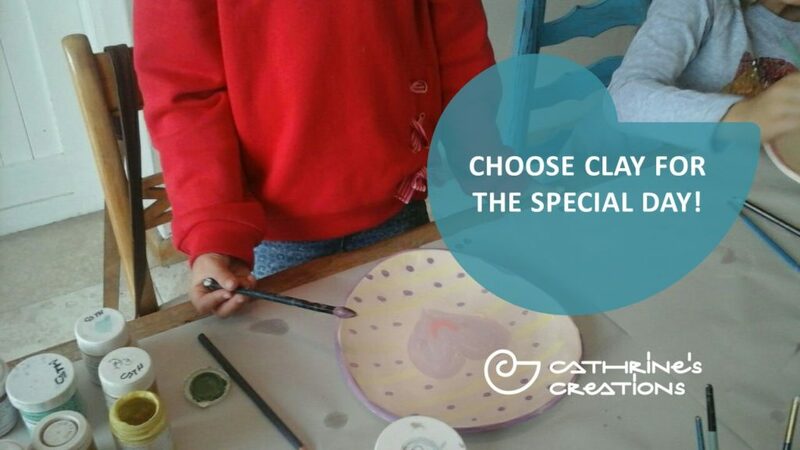 At Cathrine’s Creations- Pottery Classes children have a chance to get closer to nature, by working in clay, learning and playing at the same time. Working with clay helps children to develop hand and eye co-ordination, fine motor skills, creativity and imagination. It is a tactile, multi-sensory experience with endless possibilities. With Cathrine’s guidance children can manipulate clay into various shapes by bending, coiling, twisting, rolling and flattening it and then creating a three-dimensional object which encourages spatial awareness. If you are looking for a unique experience for your child’s birthday get in touch with Cathrine on 084 953 2737 and make a booking for a special day out. The studio is located in Sunnydale, where Cathrine will assist the kids in making lasting memories. Choose clay for the special day! Chic Clay: Move over Yoga, Clay is the New Zen! Get a Mommy-to-be the perfect gift with this Pots for Tots Gift Voucher. Bring your kids along to the Pet Plate Making Workshops!